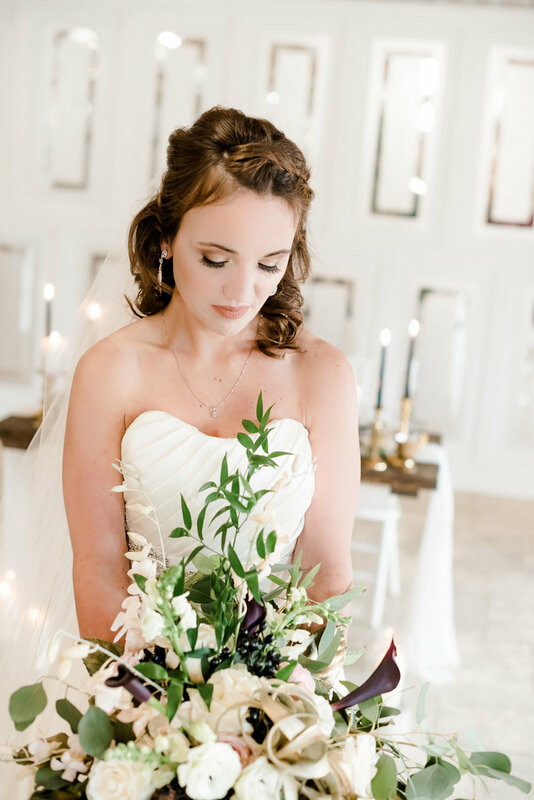 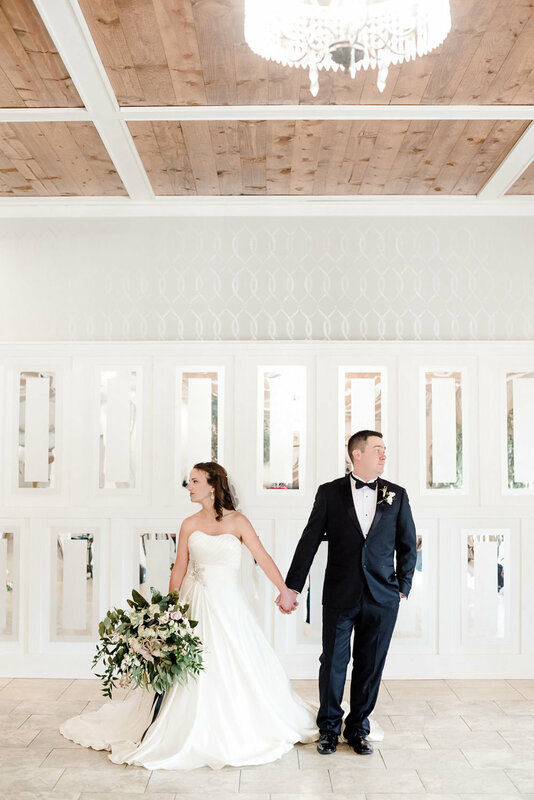 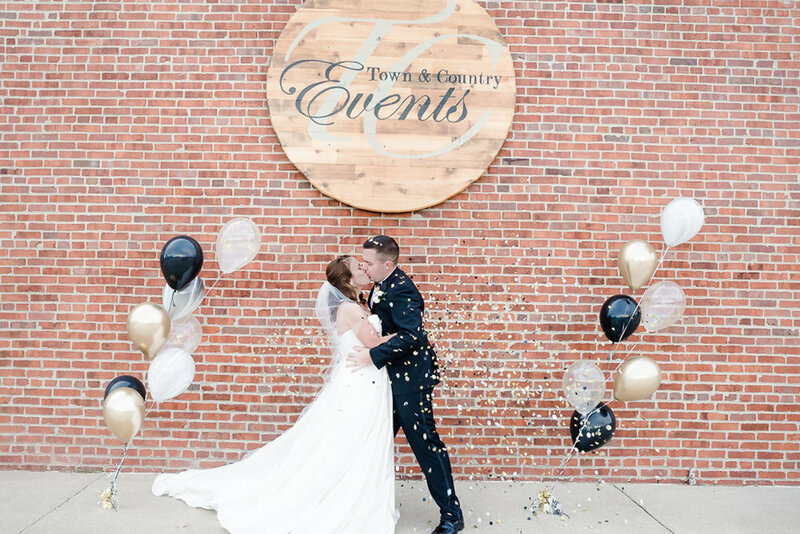 This elegant themed styled wedding shoot took place at the historic Town and Country Events, an old lumber warehouse which has been lovingly restored into a wedding venue. 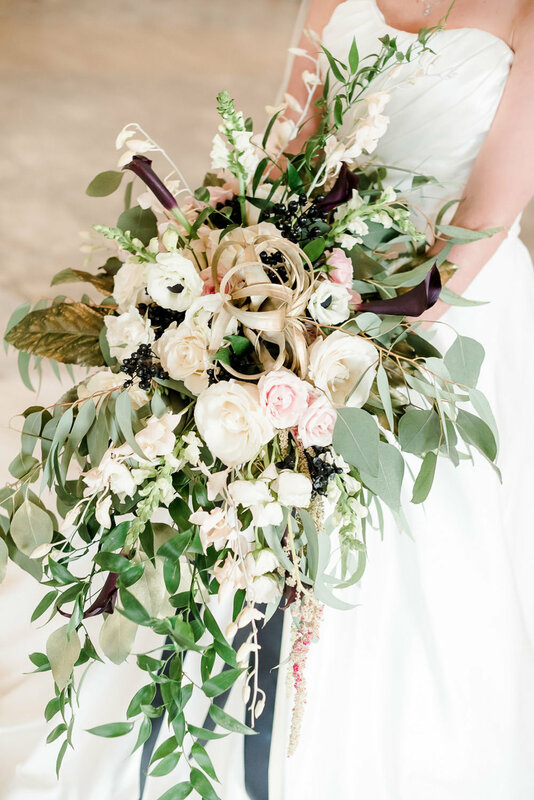 Modern edgy elements combined with vintage details and lush romantic floral designs created a dramatic vibe for this intimate shoot. 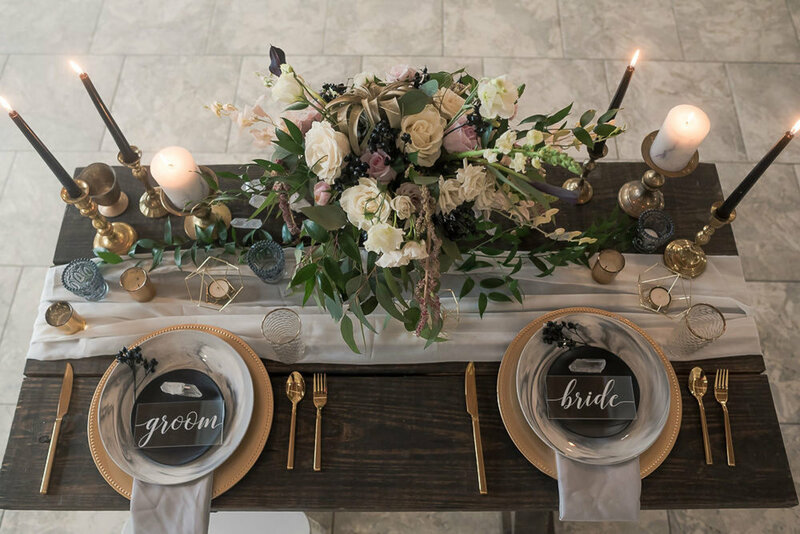 Scroll to see more marble, black, and gold wedding inspiration!